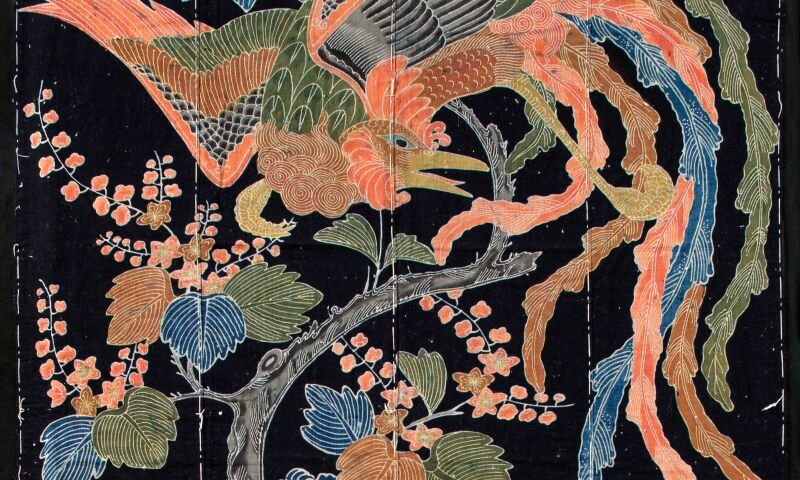 Phoenix Futon Cover, Japan, Showa Period (1926–1989). Cotton, yuzenresist-dyed indigo. Purchase 1983 Thomas L. Raymond Bequest Fund 83.91.